IT Cosmetics Brushes for Ulta- Unboxing & First Impressions! My box of beautiful amazing brushes arrived yesterday and I recorded my unboxing and first impressions live!! There brushes are absolutely INCREDIBLE!!!! Softer than soft and the same high quality we have all come to expect from It Cosmetics brushes. I used them for the first time this morning and I think my makeup went on faster than ever before. They blend like a dream and feel amazing on my skin. I love that the hairs are all synthetic and cruelty free too!!!! Whether you were born with fine strands or notice your hair may be thinning over time, a lot of people wish for their hair to at least look thicker. Statistics say by the age of 60, 8 out of 10 women will experience some degree of hair loss, so if you're not dealing with this chances are you will at some point. It is important to note with these products that individual results will vary. The key with using products that claim to thicken hair over time is to be consistent with using them and give them at least a few weeks to truly start working. The fact these products are called "Strengthen, Grow & Restore" alone made me want this stuff without even having more information as I am trying to grow my hair long and strong and restore the damage I do by coloring it. 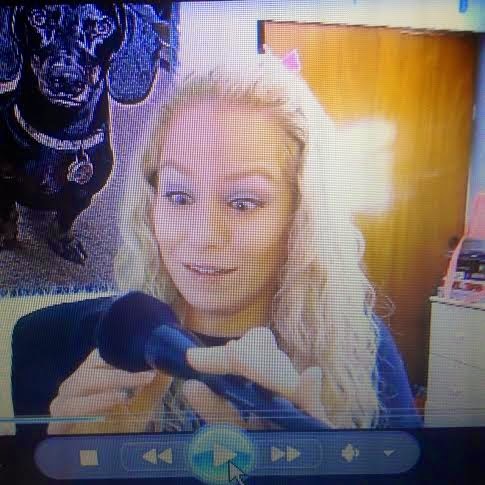 and don't forget to see my video review too! The Benefits of Avocado for Your Hair! Why are Avocados so great for your hair? Let's see! They can help revitalize dry, damaged and lifeless hair. This wonder fruit not only deep conditions your tresses, but your scalp as well and can leave your locks looking more voluminous, and full. If you have a lot of damage caused by heat styling or chemicals, deep conditioning regularly with avocado can leave your hair feeling softer and smoother. Brittle and breakage prone hair can be helped with the good old avocado used to nourish it. Using avocado oil on your scalp may also help combat hair loss. 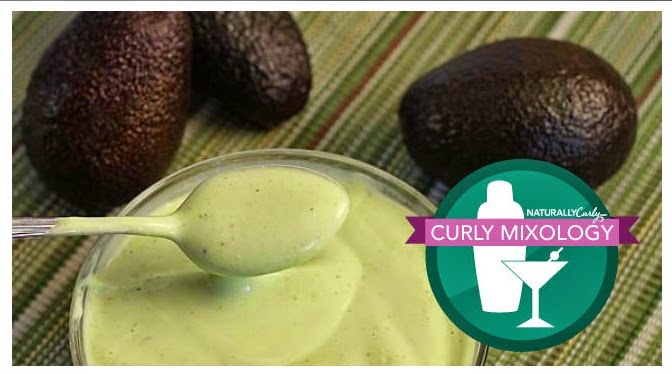 To read my full article about the benefit of Avocados for your hair and for a DIY at home Avocado hair mask, continue reading HERE at naturallycurly.com! 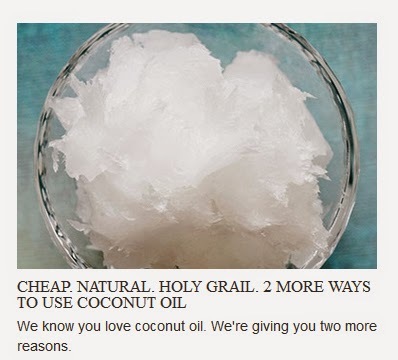 Coconut oil is a desert island hair product for curly hair. 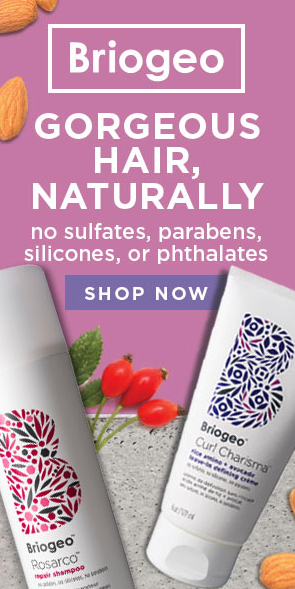 This all-natural wonder ingredient, unlike most oils, penetrates deep into the hair shaft, rather than sitting on the surface. It is great for all hair types, but especially chemically-damaged and curly hair because it helps heal protein loss and makes the hair stronger over time. Using coconut oil on your hair regularly can also help increase the shine, softness, and manageability while decreasing frizz, dandruff, and hair loss. Convinced yet? 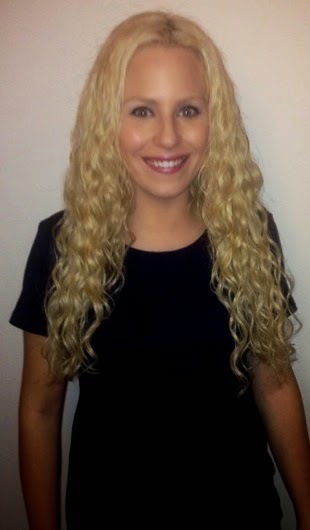 CLICK HERE to read my article on naturallycurly.com to see some of my favorite ways to use it on my hair! New IT Cosmetics Brushes Exclusive at Ulta!!! IT COSMETICS JUST RELEASED A WHOLE BUNCH OF NEW BRUSHES ON ULTA'S WEBSITE!!!!!!!!!!!!!!!!!!!!!!! I am a huge fan of It Cosmetics, especially their brushes! I nearly had a heart attack when I went on Ulta's site a few minutes ago staring at all of these beauties!!!! There seem to be three different kinds of brushes, a lot of solo but also some incredible sets on the site as well! 1) Why can't I be filthy rich and buy them all!?! 3) Hey wait, Ulta is 12% back on mrrebates right now PLUS 3x the points for platinum members (which of course, I am), so I have to at least get a couple. 4) Okay, now that #3 is decided WHICH ONES DO I PICK!?!?! just some- THERE ARE 2 PAGES!!!! 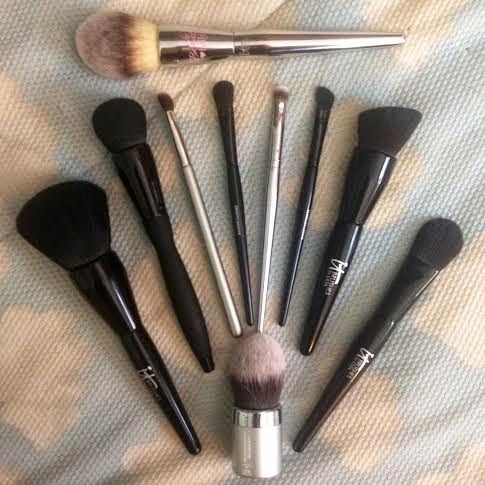 Are you hauling any of these brushes yet? Which ones are you getting? 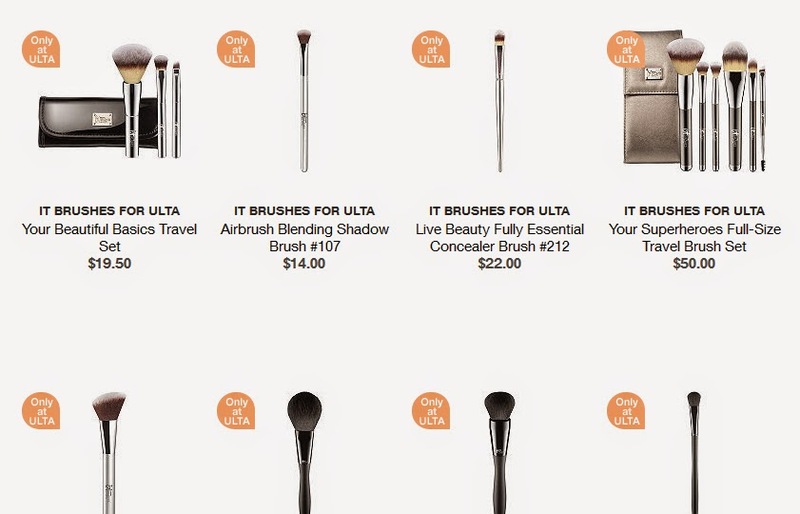 Shop the new It Cosmetics Brushes at ULTA by clicking here! Special Thanks to my friend MusingsofaMuse who posted about this on her blog today and made me aware and a bit more poor now. 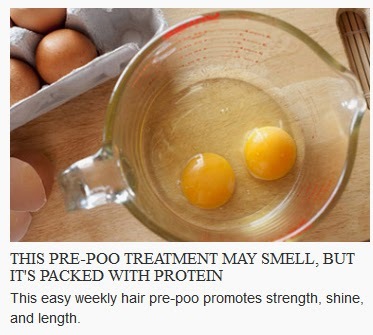 Eggs for Hair Strength: Why & a DIY Hair Treatment Recipe! Eggs are one of the best foods you can eat! One egg has 13 essential vitamins and minerals in varying amounts, high-quality protein and antioxidants, all for 70 calories. Eggs bring tremendous benefits to your hair, not only when being consumed, but when applied topically too. Hey guys! Sorry I haven't really been posting hair of the day pics and photo shoots here. After our lovely vacation and how patient and kind he was taking tons of pics for me, I decided to give my boyfriend/forced-into-it photographer a few weeks rest. That AND I have been doing really intense workouts causing me to sweat and needing to wash my hair more, so I am still working out a good hair wash schedule and stuff. 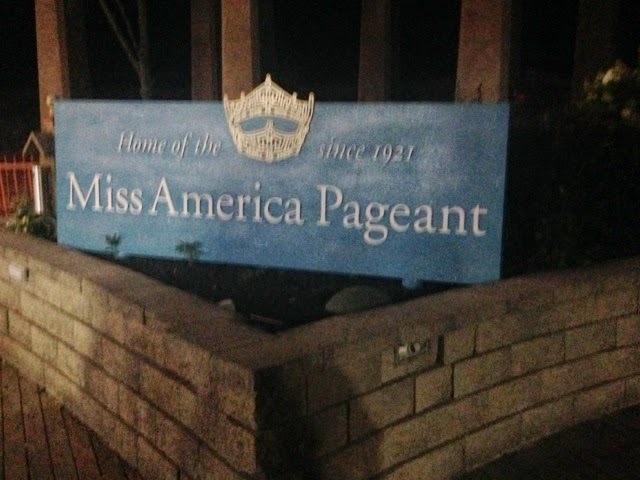 Lets say what needs to be said first: Yes, I know my roots desperately need to be touched up! I am going on Thursday. I may or may not wind up going a darker shade of blonde for Fall and Winter/make it less damaging, we will see and of course it will be posted on here. 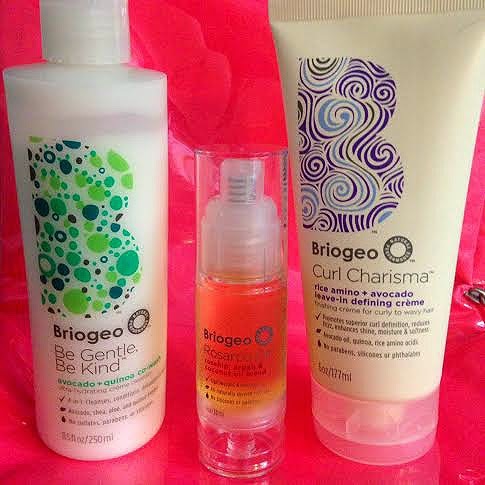 So I have been playing around with the three new products from Briogeo and the new SheaMoisture lines from CVS & Ulta for the past few weeks. The products are working very well for my hair! My review videos have slowly been coming out on my YouTube and I will have my blog write ups to go along with them soon. 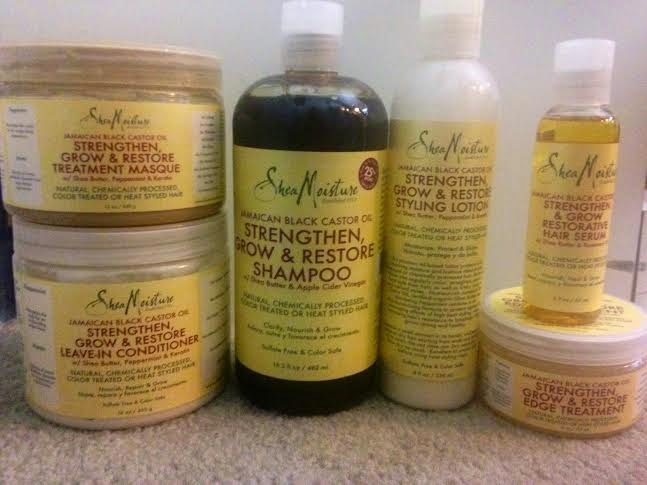 Conditioner: SheaMoisture Strengthen Grow & Repair Masque. I am LOVING this masque!!! Check my video review as to my thoughts on it and the whole collection. Was outside in the sun with it on about an hour letting the sun's heat penetrate the mask for even better absorption. Style: SheaMoisture Strengthen, Grow & Repair Leave In Conditioner, Living Proof Prime Style Extender, SheaMoisture S G & R Styling Lotion, SheaMoisture Curl Mousse, Jessicurl Spiralicious Gel, Briogeo Rosarco Oil. Applied section by section raking the products through and scrunching. Plopped hair then air dried. Once hair was air dried hours later I went back with the SheaMoisture Extra Moisture Styling Milk on the ends and hairline because they were still looking a wee bit dry. Doll 10 Beauty, formerly Dalton Cosmetics, is a cosmetics brand on QVC that makes truly high quality, long lasting products. The makeup line focuses on hi tech and anti aging ingredients to erase the past, perfect the present and protect the future. 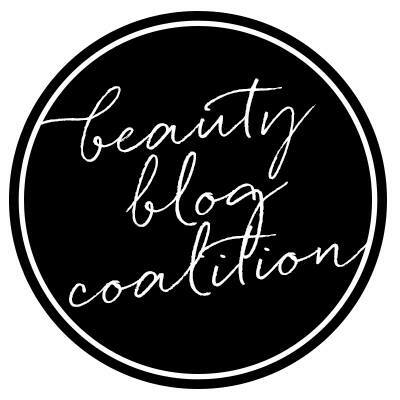 I recently had the chance to try out a lot of their newer, as well as some staple items (check here for blog posts on other items by the brand) and will be bringing reviews of everything in the coming weeks. 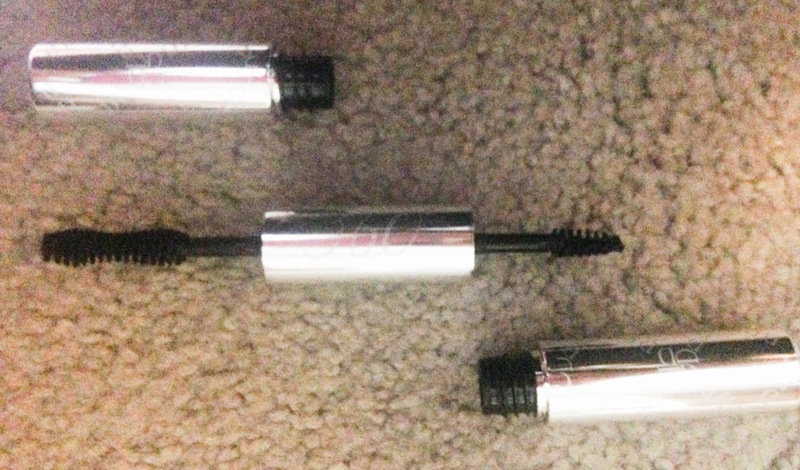 The 360 Degree Mascara is a dual ended mascara features a dual-ended design with an hourglass-shaped brush for lengthening, lifting, defining, and curling upper lashes, plus a micro-detailing brush for precision coverage of the lower. I really liked this mascara, especially the detailing brush to help get the inner corner lashes and my bottom lashes with all time. It make my lashes look nice and long but natural. This did not give me a fake lash effect. It wore all day without any issues of flaking off. 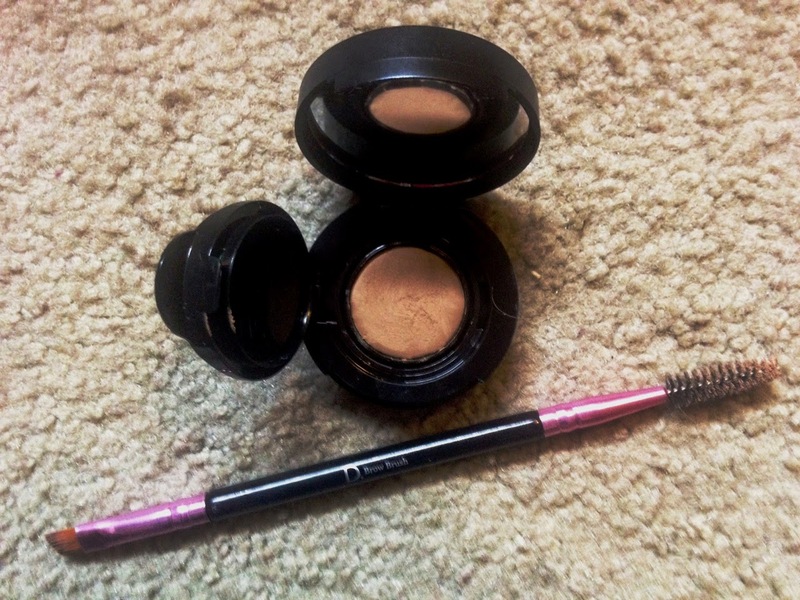 The Airless Creme Brow Fix may be my newest favorite brow product! I have the shade blonde which is such a perfect match for my light eyebrow hairs. The Brow Fix was created using cellulose fibers that add dimension and color back into your brows. This groundbreaking formulation covers gray, tames stray hairs, and adheres to skin in areas where hair is absent. It is formulated with Nutra 6 Complex, a powerful blend of six essential nutrients so it is treating your eyebrows and skin while being worn. Application with the dual ended brush/spoolie is a breeze. The formula stays put all day, helps my to create the tails on my brows that are thinning and make my brows look so much better overall. A little goes a long way, I think this pot is going to literally last me years. A full demo/tutorial with all Doll 10 products is coming soon so be sure to subscribe to my blog and check back to see these products in action! Disclaimer: the products in this video were sent to me for review consideration. I am not endorsed or sponsored by any company and receive no monetary compensation for my reviews. All opinions and words stated are my own truthful thoughts, as always. 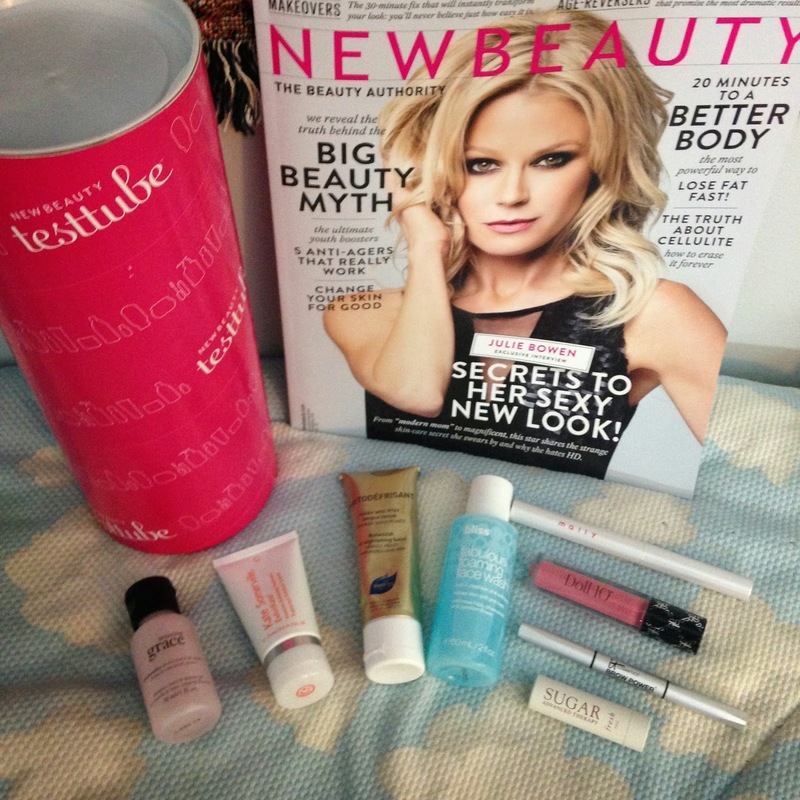 Four times a year, New Beauty Test Tube teams up with QVC to bring a special mix of deluxe sized and full size items from QVC Beauty brands along with a copy of the info packed magazine. The value is great. With tax and shipping to me in NY it cost $40. The magazine sells on the news stand for $10 and one of the items in this month's tube (the exfolikate) I saw alone at Sephora for $24! That alone there makes it worth it. This month had so many great items from philosophy, Kate Somerville, phyto, bliss, Mally Beauty, Doll 10, it cosmetics and fresh. We’re always looking for a few extra Zzzs where we can get ‘em. Prepping hair the night before is a surefire way to make mornings run a little more smoothly. 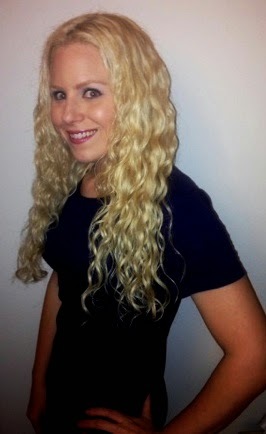 There are two methods that curly girls can depend on for a good hair day: the plopping method and the braiding method. There is also the option of sleeping with your hair in a pineapple and a satin bonnet that I discussed previously. If you missed my night time routine article, check it HERE. To read details about plopping and braiding and waking up with gorgeous curls and waves, come on over to my naturallycurly.com article HERE. 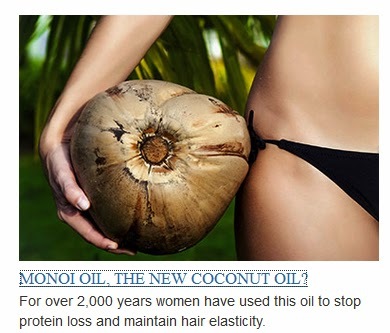 CLICK HERE to read my article about why Monoi oil is great for your hair! p.s. the products suggested in the article are not all recommended by me. They were added into the article after I wrote it. 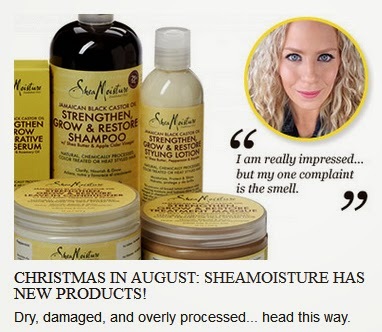 I do personally use and love the SheaMoisture Tahitian Noni & Monoi products but have not tried most of the others mentioned. If you missed my first video about the eye shadows, blushes and blush/lip creams check that out HERE. This blog post is all about their lip products! All of the Shea Moisture cosmetic products are dermatologist tested, paraben and talc free! 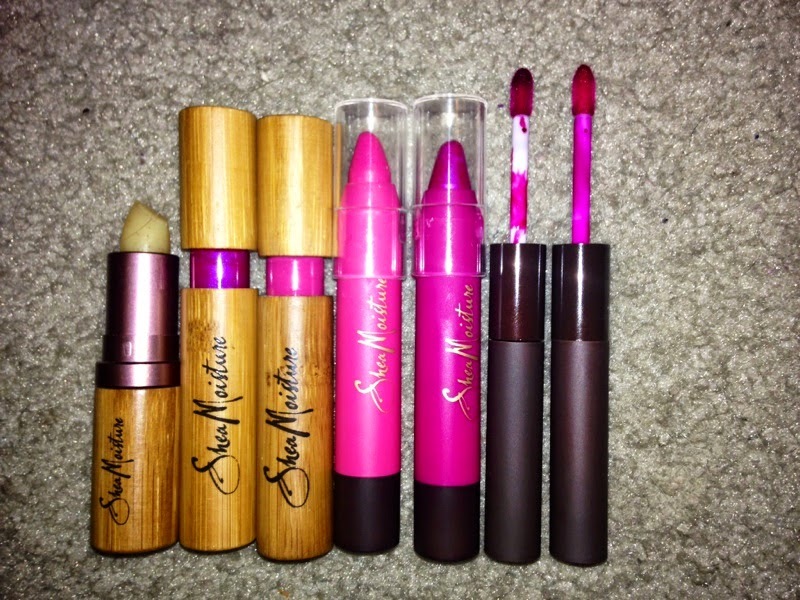 SheaMoisture has 4 different types of lip products: a lip exfoliator, lip glosses, lip crayon lipsticks and lip stains! The lip exfoliator is lovely. It comes in a traditional bullet lipstick form and helps smooth, exfoliate and moisturize the lips. Perfect prior to any lip color application! The exfoliators inside are natural apricot seeds and sugar and the Organic Shea Butter, Avocado Oil and Aloe Very help to condition and hydrate. The lip glosses are super pigmented, leave my lips looking more full and have a gorgeous shine to them! They are not sticky, but slightly tacky which I actually don't mind, as I feel it helps the product stay on my lips longer. Consistent use is said to help improve the texture and fine lines in the lips. The glosses are all enriched with an exclusive natural moisturization complex containing skin conditioning Vitamin E, jojoba oil, and Shea Butter. The Lipstick Crayons are my favorite lip product out of everything. They are super easy to use and no need to sharpen since you just twist them up from the bottom! The point on top allows you to line and fill in your lips so a separate lip liner is not needed. The crayons contain vitamin E, Aloe and Shea Butter. What makes me the most happy about these aside from how easy they are to apply and how they leave my lips so moisturized is how long wearing they are! These stay on my lips for HOURS- even through eating and drinking!! These Lip Stains really do stain! They will stay on all day and you will need a good makeup remove if you want to take them off. A two part system, one end has the color while the other end has a moisturizing top coat that adds shine. The color alone is buildable so you can go from sheer to very pigmented but without the top coat it can be drying. You want to wait a few minuted until the stain color feels completely dry on the lips before applying the top coat. You can see the demo in my video below. These also contain vitamin E, Aloe and Shea Butter. So What is Dimethicone? And Why Some Curlies Dislike It. CLICK HERE to read about what dimethicone is, the pros and cons and why some curlies (including myself) prefer products without it and other silicones. 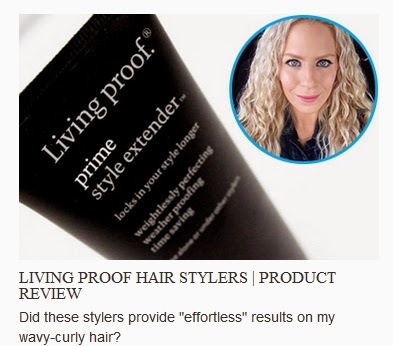 If you have been following me for a while, first THANK YOU, second- you probably know Living Proof is one of my very favorite hair product brands out there! 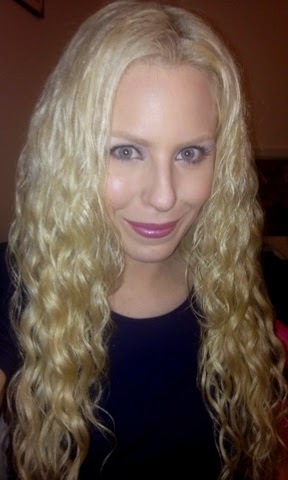 I have previously reviewed their Restore Line on naturallycurly.com and you can read that HERE. With every item I try by them, I love TATCHA more and more! This skincare brand developed using ingredients found in the ancient beauty secrets by the Geishas of Japan is top notch, cream of the crop for your skin. This new product I recently have been using and trying out is no exception to that. The Deep Hydrating Firming Serum is described on TATCHA's site as "a deeply hydrating blend of Okinawa red algae and hyaluronic acid to soothe and firm skin in need of hydration" This serum is also inflused with 23 karat gold! Yes GOLD!! It helps the skin achieve a lit-from-within look without adding shimmer to the face. This serum is also formulated without Parabens, mineral oils, synthetic fragrances, sulfate detergents, urea, DEA, TEA or phthalates, just like the rest of the line. pens! It does however leave my face feeling super soft and looking super smooth with more even texture and tone. I notice redness and uneveness in my skin is fixed! 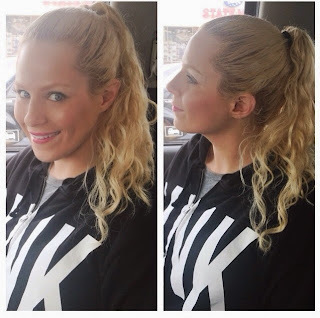 It gives my skin a natural radiance and has me using LESS foundation and concealer!! That alone is worth the price of admission to me. I have been applying a half a pump to my face- even right up to my eyes every night after cleansing but before moisturizer. It feels slightly tacky at first but that feeling goes away in a minute and I then use my moisturizer after (I usually brush my teeth in between) You can use this in the morning instead or morning AND night if you like. Right now, just night is good enough for me but come winter when it gets colder and the air is more dry I might double up. Right now I like the TATCHA dewy skin mist in the morning. Disclaimer: the products in this video were provided to me from the company. I am not endorsed or sponsored by any company and receive no monetary compensation for my reviews. All opinions and words stated are my own truthful thoughts, as always. As a girl (or guy!) 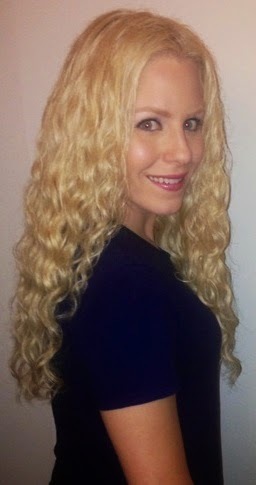 with curly wavy hair, to enhance and show off beautiful waves without it turning poofy there are quite a few things you can do..
CLICK HERE to read what they are on my latest naturallycurly.com article! This is a long overdue video! 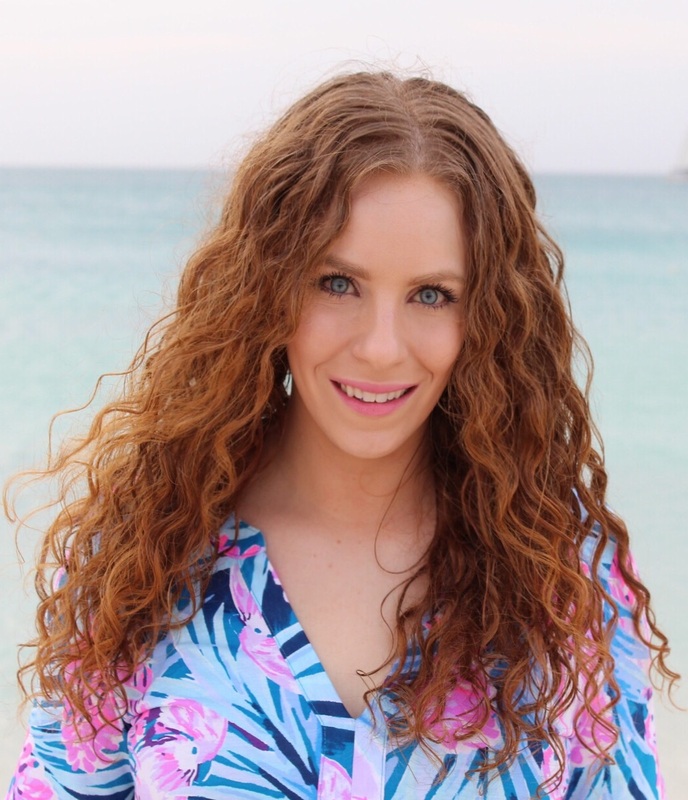 This has been my method of styling my wet hair after cleansing and conditioning in the shower all Summer for getting nice defined, frizz free, curly waves even in heat and humidity. I pretty much have been using this method regardless of the products used but the products I used in this blog/video are holy grails and go tos that I will use when I need to be guaranteed good hair! 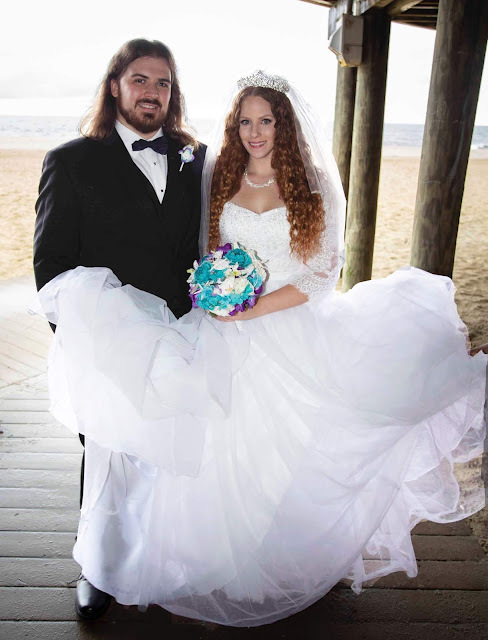 This is way late, vacation last month did set me back (I hope you saw those blog posts!) but here are my unboxing and review videos for Ipsy & Birchbox in July! Check the end of this blog post for my monthly hair growth journey update video! My hair has made so much progress since my very first hair growth video in 2012. As a result, my hair was not presentable in public worn down so i went with an easy high ponytail. used the SheaMoisture Extra Moisture Transitioning milk throughoutmy hair too keep it soft and moisturized and Devacurl Set Up & Above pomade to keep the edges sleek and calm. My edges have been driving me nuts lately. 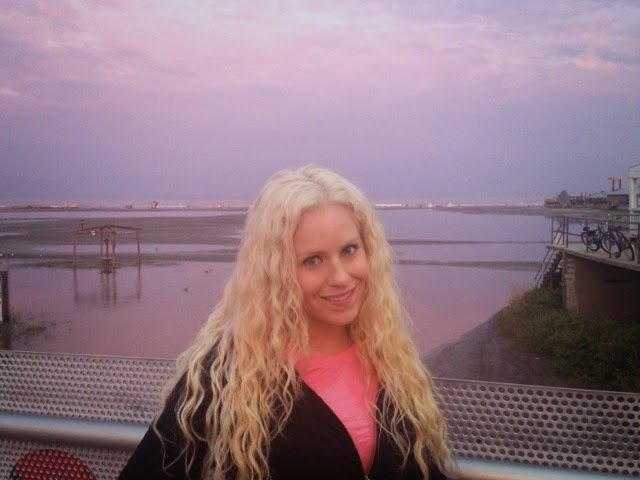 After our last day in Wildwood, we spent a night in Atlantic City before heading home. We watched the Beatlemania 50th Anniversary Tribute Show live at the Trump Plaza and it was so good! Those gentlemen are so talented and did a great job portraying the Fab Four. 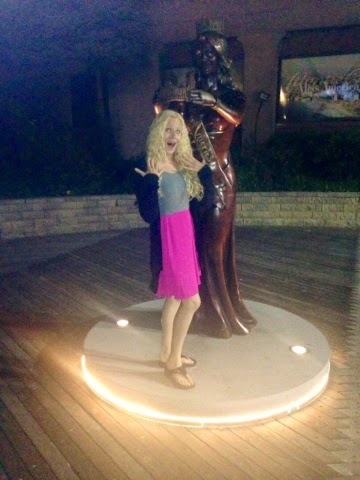 The 2 pics above was the last night in Wildwood! 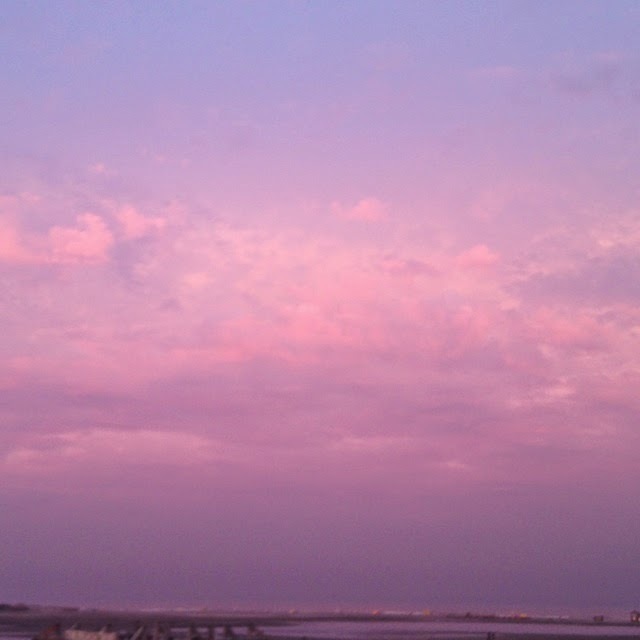 As the sun was setting, the sky turned the most beautiful pinkish purple. It was magical!! These boards in Atlantic City shaped like a heart all came from various Boardwalks Hurricane Sandy destroyed in October 2012.
the floor looked like water! The above 3 pictures were from this restaurant we ate at called Margaritaville! The food was yummy but I was obsessing over the decor! It looks like an indoor tropical beach! The above 2 pictures were taken from the pier on the Atlantic City Boardwalk! The above 2 pictures are in our hotel room before going to that show. That is another Apt 9 dress from Kohl's! 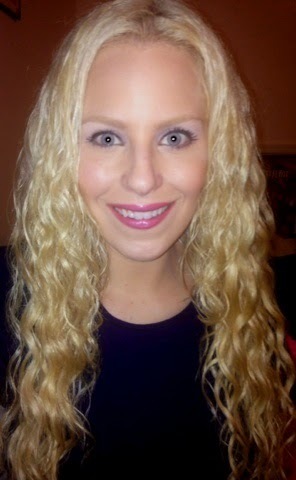 Hair is Day 2- refreshed with Devacurl Mister Right and CURLS Cashmere Jelly. I hope you enjoyed my vacation pics blogs! I have such a wonderful time and can't wait for my next getaway! The Ultimate It Cosmetics Brush Video! !